Mr. Doordan earned his S.B. degree from the Massachusetts Institute of Technology in 1968 and then joined the Navy, serving as a naval aviator and flying the A-7E Corsair II. Returning to civilian life, Mr. Doordan first worked for Hewlett Packard and then began a 25-year career with Santa Barbara’s QAD Inc. Initially he opened the Silicon Valley office and then he became Managing Director in eight countries while starting subsidiaries in various locations. From his Hong Kong headquarters he opened QAD’s very successful China business in the 1990s. In 2003 he relocated to Santa Barbara to semi-retire and lead QAD’s senior management development program, conducting leadership and executive development seminars for QAD regional organizations on five continents. Preservation of Santa Barbara’s historic heritage is one of John’s community concerns, and it is partly responsible for his commitment to the Santa Barbara Club. Over nine years he has served as Treasurer, Director and President, and he continues his active participation. Ms. Schoenfeld is the owner/broker for Santa Barbara Living – Real Estate Brokerage, Inc., which she founded in 2010. Her career as a professional realtor spans 25 years, including prior affiliations with Sunset Real Estate and Re/Max – Santa Barbara. After moving to Santa Barbara in 1973 Ms. Schoenfeld co-owned Santa Barbara Paint Factory and Carpinteria Home and Hardware. A graduate of California Western University with a dual major in education and social sciences, Ms. Schoenfeld began her career teaching English and history in southern California. She is currently active in the Santa Barbara Sunrise Rotary Club and previously served as its President and the Chair of its charitable foundation. She is also active in her church where she served as the Board President. Mr. Thompson is retired from the U.S. Air Force and the Boeing Company. He received his B.S. from the U.S. Air Force Academy and completed graduate studies in aeronautical engineering at Ohio State and California State Universities. He is a graduate of the USAF Test Pilot School at Edwards AFB and a Distinguished Graduate of the USAF Air Command and Staff College. During a 20-year military career, Mr. Thompson flew over 100 tactical combat missions, tested several prototype aircraft and commanded multi-disciplinary organizations. In his 20-year career in civilian industry, Mr. Thompson served as a Program Manager and Department Director, managing organizations with multi-million dollar budgets and receiving national and international honors. For 30 years Mr. Thompson served as a trustee and chairman of an international scholarship foundation and currently is a trustee of a museum foundation. He also has served as Chairman of the Santa Barbara Airport Commission and currently serves as a member of the City of Santa Barbara Planning Commission. Dr. Birch currently serves as President and Chief Executive Officer of the Mosher Foundation. He became a Director of Pacific Capital Bancorp in 1983 and its Chairman in 2004, now continuing as Chairman Emeritus. Dr. Birch previously was Executive Vice President for Westmont College in Santa Barbara and, from 1976 until his retirement in 1993, served as Vice Chancellor of the University of California at Santa Barbara. Dr. Birch is involved in numerous local civic and community organizations including Cottage Hospital, the Westmont College Foundation, the UCSB Foundation, and the Community Arts Music Association (CAMA). Dr. Birch currently serves on the Board of Directors of the Santa Barbara Club. He holds a B.S. from the State University of New York, an M.A. from Ohio University and a Ph.D. from Michigan State University. Mr. Catalfimo is a Financial Advisor and Managing Director with J.P. Morgan Securities. In this capacity he offers traditional brokerage and wealth management services, including stock and bond trading, portfolio management through outside advisors, alternative investments, hedge funds and securities-based lending. Mr. Catalfimo joined the Boston office of J.P. Morgan Securities’ predecessor firm in 1986 and, in 2011, assisted in opening the firm’s Santa Barbara offices. He is originally from the Saratoga Springs area of upstate New York. He graduated from Northfield Mount Hermon School and received a B.S. in political science from Skidmore College. 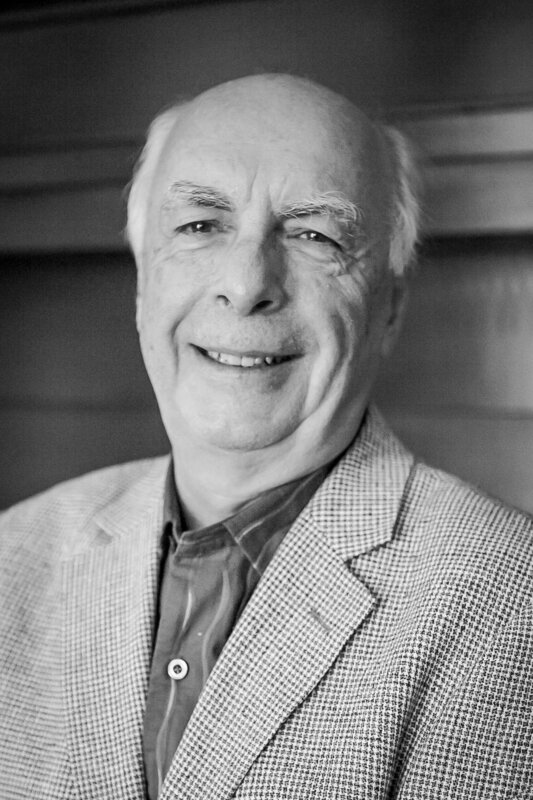 Mr. Catalfimo currently serves on the Board of the Montecito Educational Foundation, which provides financial support to Montecito Union School. Mr. Ringer is retired from the U.S. Army and the aerospace industry where he worked for both Boeing and Bell Helicopter Textron. Upon graduation from the University of Idaho in 1966, he was commissioned in the U.S. Army, graduated from Rotary Wing Flight School and flew over 1,000 combat hours on his tour of duty in the Vietnam War. After 1970, he spent a decade flying military and civil helicopters until joining McDonnell Douglas (now Boeing Company). From flying demos for the North American Sales Department, he moved into International Marketing in Asia-Pacific. In 1996, he accepted a position with Bell Helicopter, where he worked until his retirement at the end of 2006. During his time in Asia-Pacific, he participated in both military and commercial sales programs for both companies. His civilian career afforded Mr. Ringer and his wife Vicki the opportunity to live in Singapore, Kuala Lumpur, and Manila. Mr. Ringer has served as Santa Barbara Sunrise Rotary President. He also served as House Committee Chairman, Director, and President of the Santa Barbara Club. Nancy Robins is retired from 25 years in book publishing having worked in Boston for Houghton Mifflin, Little Brown/New York Graphic Society Press, and as manager of the Publications Office at Harvard University’s Graduate School of Design. Following, she was a vice president for (Ted) Turner Publishing in Atlanta. Her expertise was in book design and manufacture, primarily of art books. She is also a co-author of BostonAccess, a Boston travel guide. After retiring from publishing, Ms. Robins moved to Santa Barbara in 1997 where a couple years later she began work at the Rametto Company, LLC, a local commercial real estate investment and development company that her father cofounded and where she currently serves as manager. Ms. Robins’ education, a BFA from the University of Michigan and an MFA from Cranbrook Academy of Art, is in art, art history, graphic design, and architecture.